Are you ready to try a different approach? Bowen Therapy is gently applied to the body using thumbs and fingers. Bowen uses a rolling type move to stimulate the nerve pathways between different systems in the body to trigger a response. The therapist pauses or leaves the room between each set of moves to allow the body to process these signals. 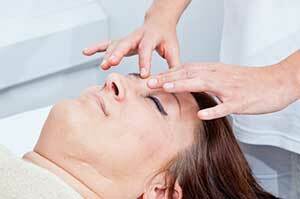 These breaks increase the effectiveness of the treatment. The move does not involve hard adjustments, it is not a flick of muscle and it does not slide over the skin. Instead it uses the skin slack available to move over the underlying tissue. Each move covers only a small area, defined by how much slack is available for each individual. Bowen is gentle as well as relaxing to receive and is suitable for all ages. Connective tissue networks your whole body in a continuous system. In addition to working with this connective tissue, Bowen also works with your muscles, ligaments, tendons and soft tissue, to stimulate your brain and nervous system. Each bowen move sends a signal to the brain causing it to assess the area and make any needed changes. A a result of this brain response, there is often an immediate reduction of pain and improvement to the area. The breaks (pauses) between each set of moves is a unique feature to bowen therapy. Allowing the body to rest is essential because it starts the process of repair and change. The length of each break is dependant on the client and the work being done. 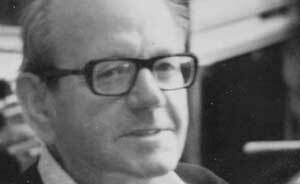 Tom Bowen (1916 – 1982) from Australia, believed in the body’s ability to heal itself if given the right stimulus. Tom used information and principles from osteopathic, chiropractic and acupuncture disciplines to develop a way of working that became known as The Bowen Technique or Bowen Therapy. It was introduced to the UK in the 1980s. © 2019 Danielle Mitchell Bowen Therapist - All Rights Reserved / designed & developed with by hosiewebdesign.